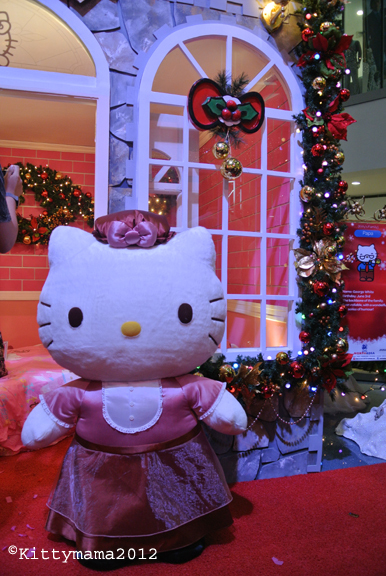 As promised, here are some more photos of the Hello Kitty Christmas Village at SM City North EDSA. 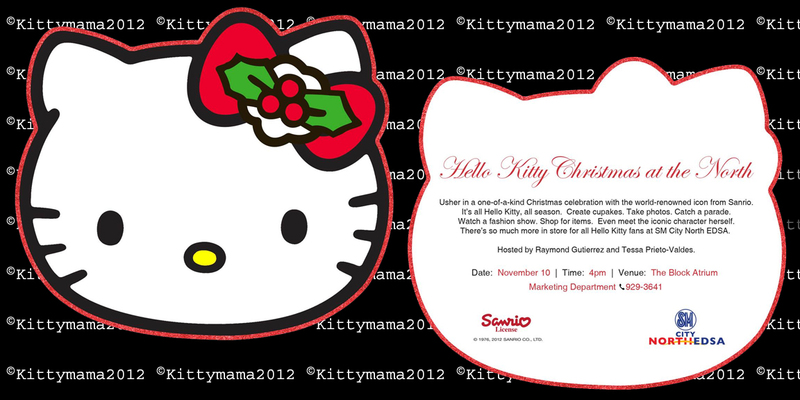 The display and scheduled activities will run until January 6, 2013. This was my favorite “house” of all. Why? 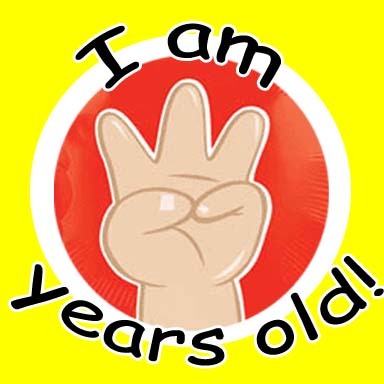 Because I “live” here! 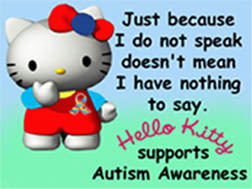 Teehee! Still don’t see me yet? Here I am, all in pink! 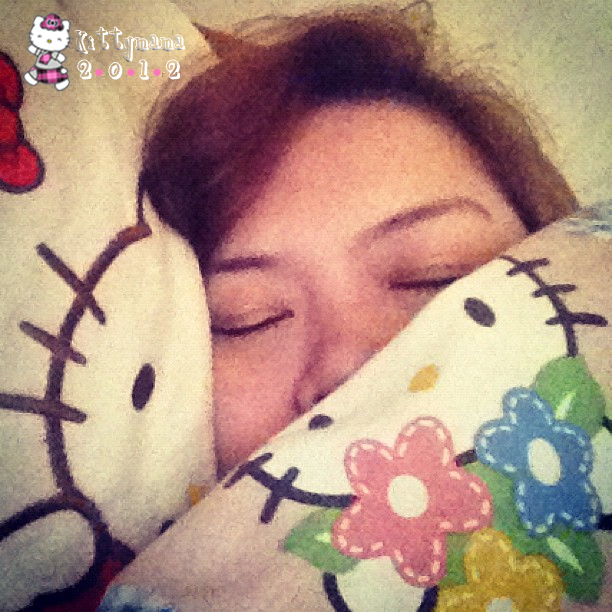 Oh, yeah, I don’t have delusions about being Hello Kitty because I am… ehrm… her mama! I love the balloon centerpiece on the cocktail tables set up on the left side of the venue, behind two of the houses. I’m glad I was able to take a picture of even one as this was the last one there. I ignorantly did not claim this because as soon I stepped away from it, someone else claimed it for herself. 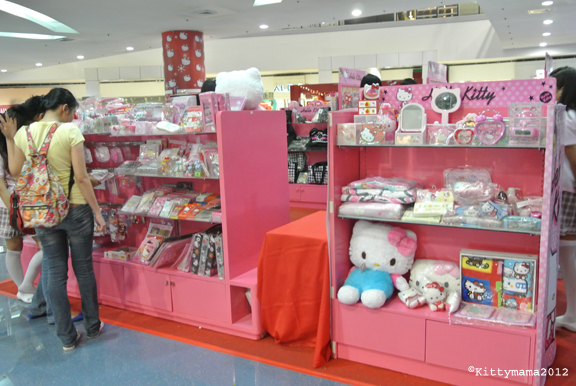 No doubt, that was a Hello Kitty fan. Remember I had one of these for my birthday before? 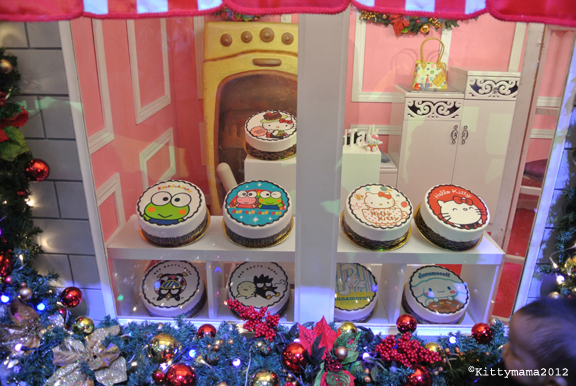 BreadTalk has new designs for the cakes and you can preorder these yummy beauties just a few days in advance for any special occasion. Nom nom nom nom nom. 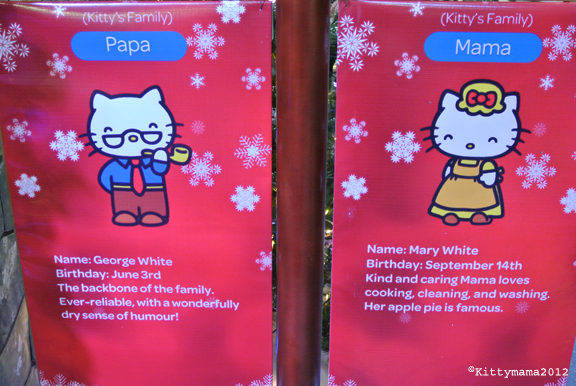 Those are Anthony and Margaret George, Hello Kitty’s loving grandparents. 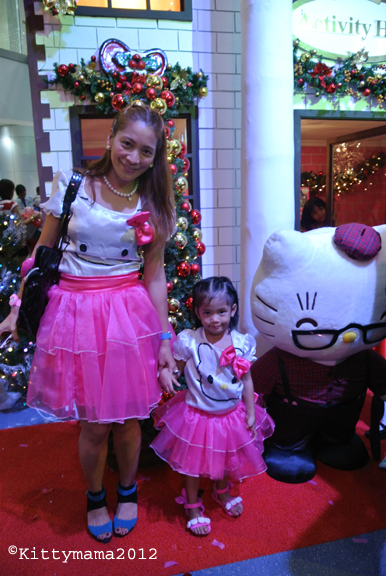 Look, she even has a friend in a Hello Kitty dress too! 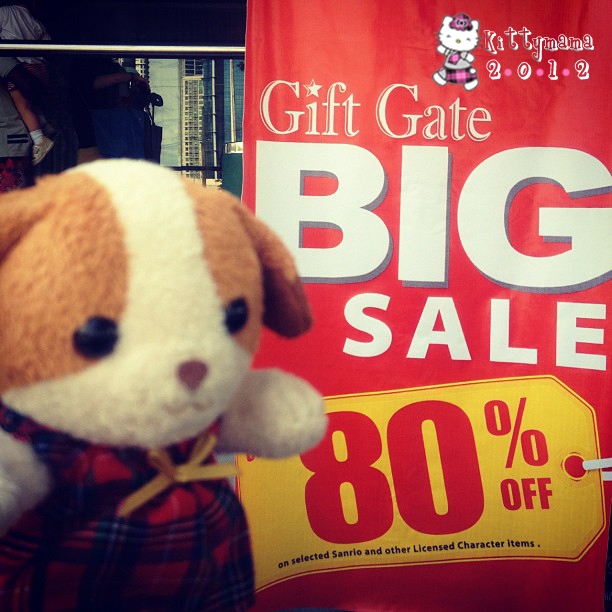 And here is Gift Gate Philippines’ very own Operations Manager, the lovely Ms. Cleo Balingit De Ocampo. She was running about the venue until I had her freeze for a shot. 🙂 That is grace under pressure! 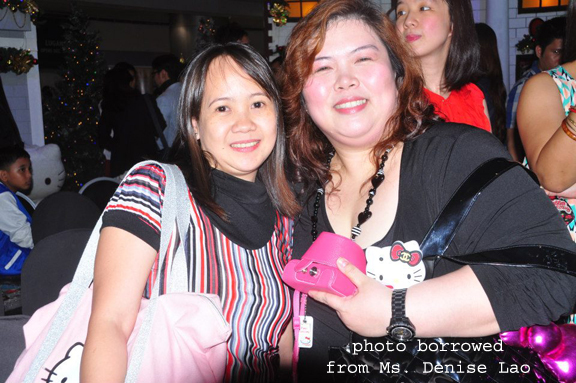 An additional blessing: I met a very nice Hello Kitty collector at the event. 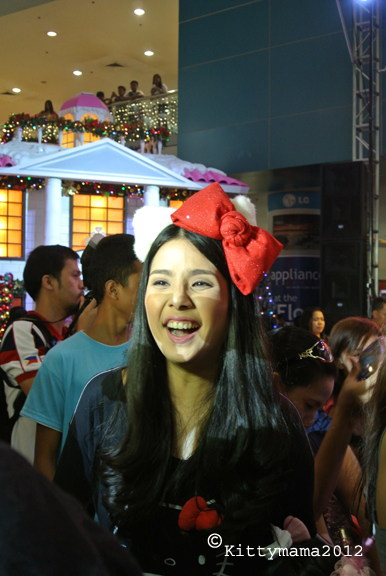 Her name is Denise Lao. She came up to me and said very nice things that flustered me a bit. 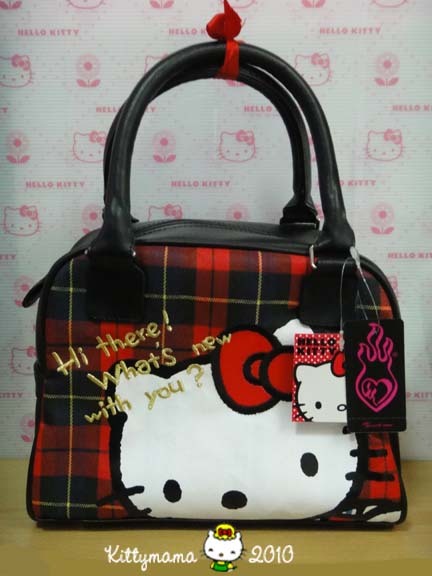 *blushes* I’m glad I made a new Hello Kitty friend. 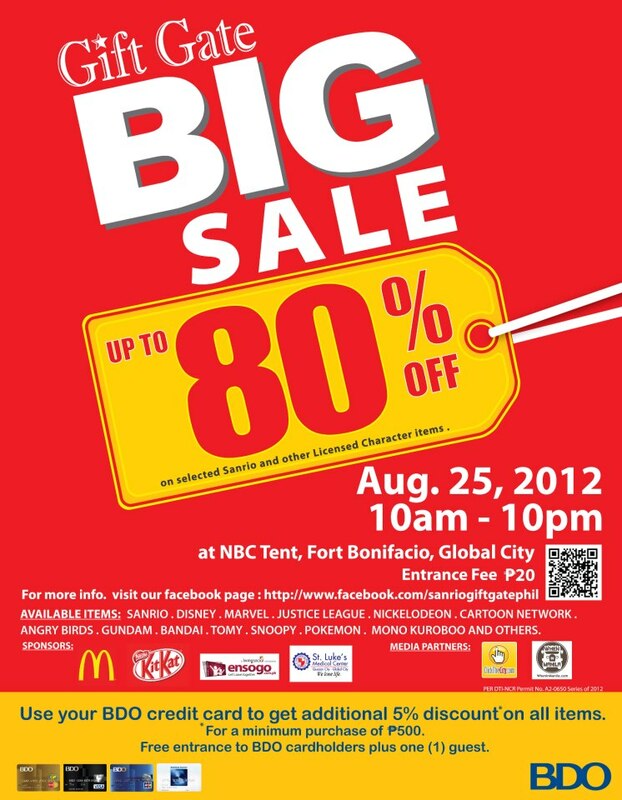 I borrowed the picture below from Denise’s Facebook album of the event. Sorry if I looked sweaty and red all over. 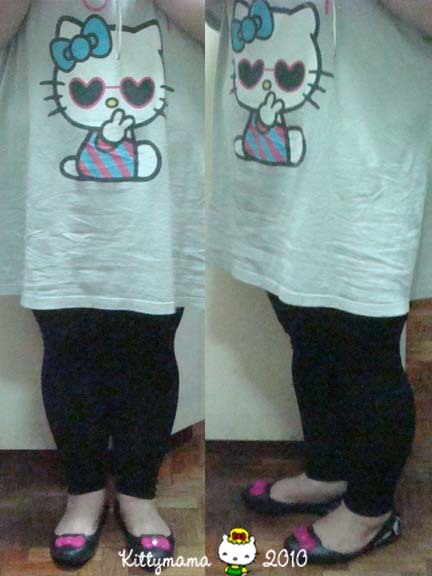 As I told you in the previous post, Hello Kitty fashion makes it big at Forever21 so catch them before they run out! Unfortunately, sizes run in the regular range and not in the plus size range, eliminating me at once as a target audience. 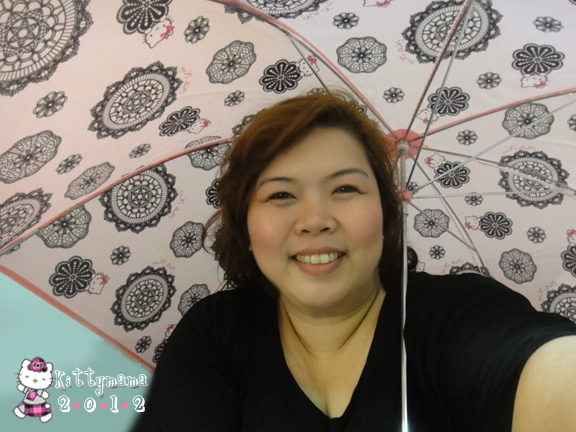 Oh, wait, I do fit under the umbrella! The neck pillow too! And the scarf! 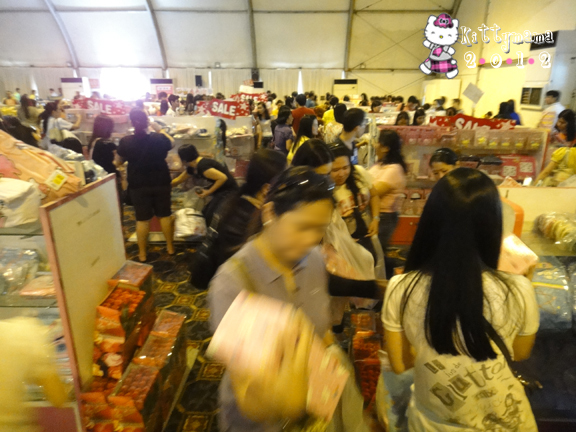 No need to walk to the Annex to get your Sanrio fix, as they’ve set up a selling area in the venue. I want the bed table!!! 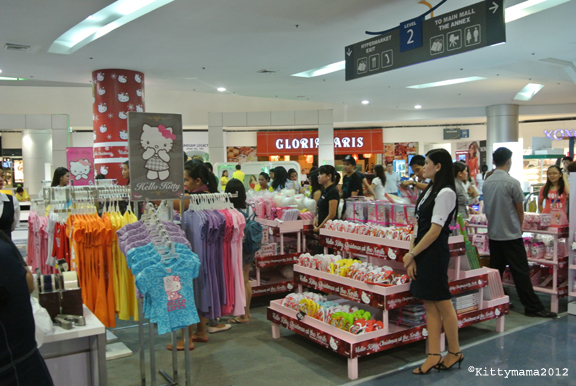 And even SM has Hello Kitty clothes and toys for sale, including toys imported by my favorite toy distributor, Ban Kee Trading. and then I suddenly noticed a bunch of photographers taking pictures of the ones beside me. 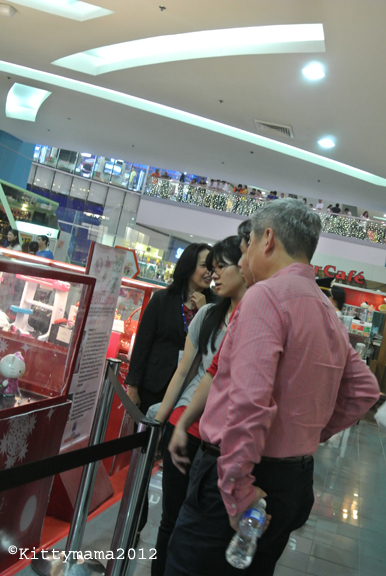 So engrossed was I in looking and taking my own pictures that I didn’t realize I had run into Mr. Hans Sy again! Unlike snobby VIPs, he didn’t make a big fuss that I was blocking his view (though I could feel the bodyguards’ stares boring through me). I quietly slipped away, pretending I hadn’t noticed. 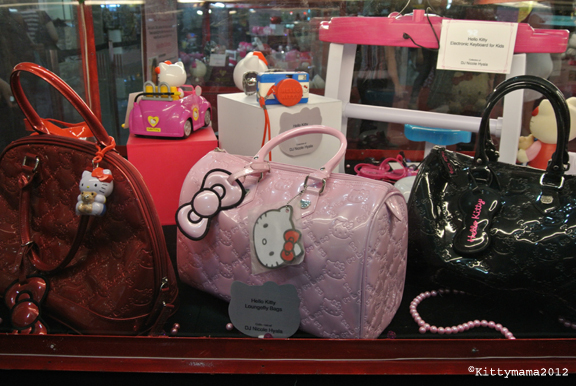 These are DJ Nicole Hyala’s Loungefly bags. 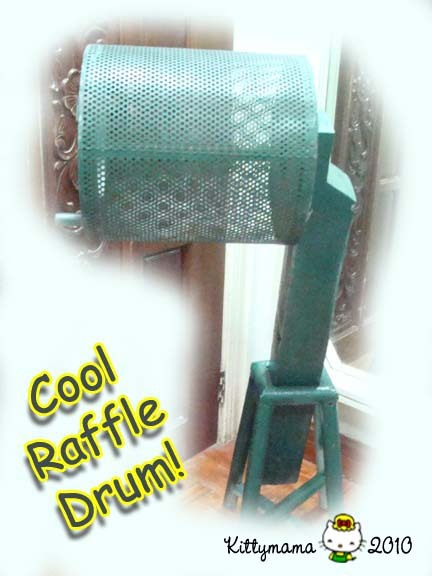 And her popcorn machine. 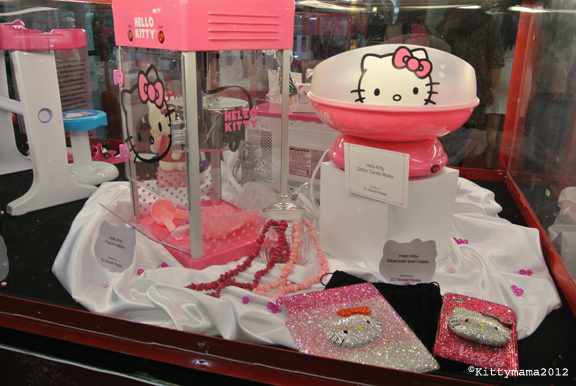 And her cotton candy machine. 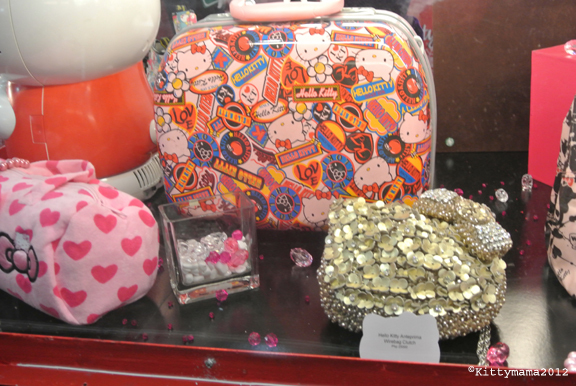 And her bling cases for her gadgets. 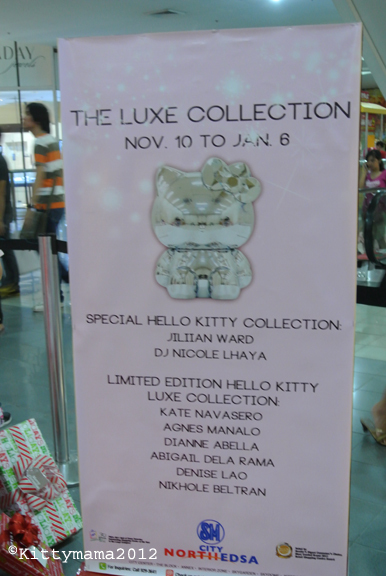 Part of Ms. Dianne Abella’s collection. 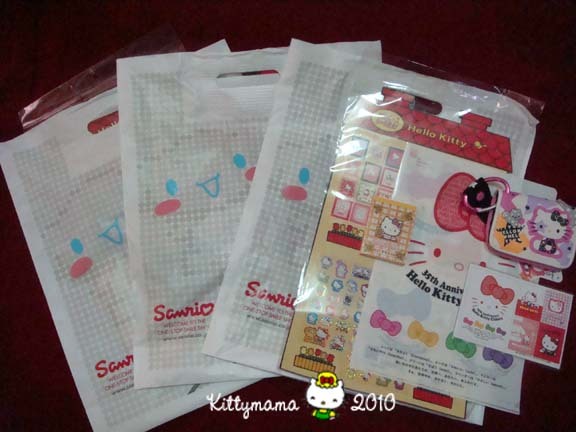 The Anteprima wire bag is worth PhP25,000- and that is only the small one! She also has very nice plushes. 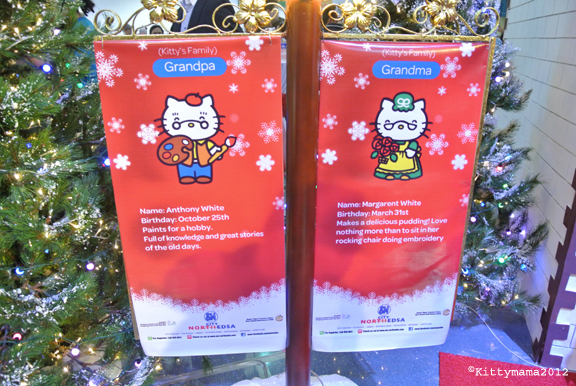 It took all of my willpower NOT to publish here or in Facebook all 286 pictures I took of the event using two cameras. I figured, a sneak peek is all one needs because the experience is definitely better than a bunch of photos. 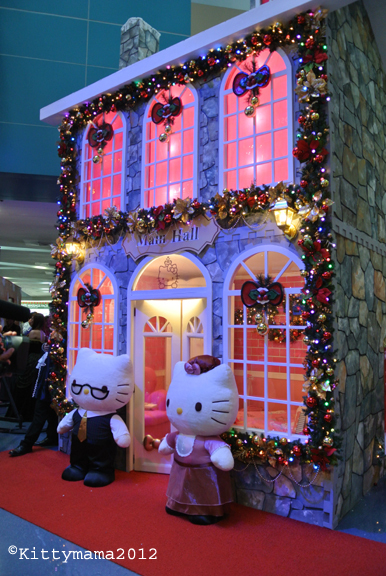 So if you want to see more of the Hello Kitty Christmas Village and the Hello Kitty Exhibit, head on now to SM City North EDSA! The invitation said four in the afternoon and I had meant to get there by three at the latest to get a feel of the Atrium’s layout. But when you’re a mom and wife and everything else all rolled in one (yes, I am even a handy carpenter on occasion), sometimes, getting your undies on right side out is all you have time for. 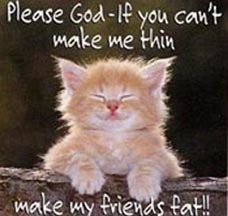 Cross my Kitty heart. In fairness, though, I wasn’t really late. I was there 15 minutes before the scheduled time but already, there were so many people that it felt like the MRT on rush hour, sans the funky smells of course. 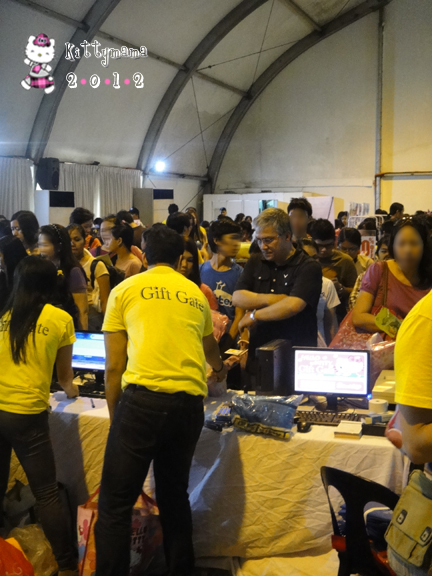 I was a bit overwhelmed by all the security and all the people milling around and wandering aimlessly. There were just so many. Fortunately, my phone rang just in time and I was graciously led me to where I was supposed to be seated for the duration of the program, on the second row of the right side of the stage. 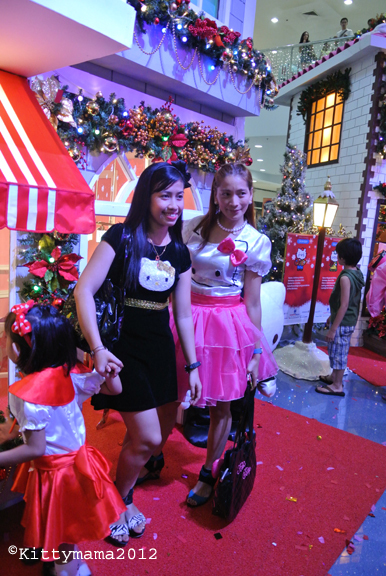 The launch of SM City North EDSA’s tribute to Hello Kitty came in the form of a runway fashion show spiced up with a LOT of Hello Kitty talk. 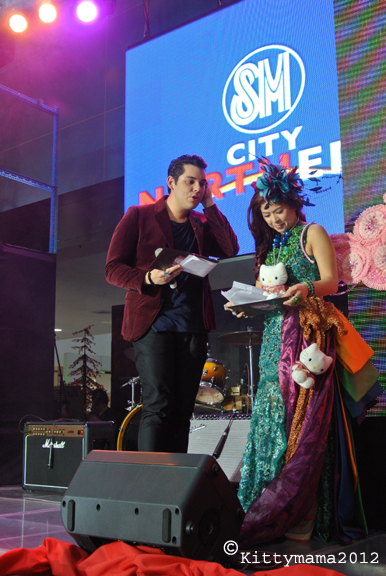 Ms. Tessa Prieto and Mr. Raymond Gutierrez hostedthe almost two-hour show. It was wonderful to see Ms. Prieto and Mr. Gutierrez banter lightly on stage. But of course, the star of the show (aside from the REAL star) was Ms. Prieto who was right in her element- fun, wacky, and feisty, but elegant to the core. 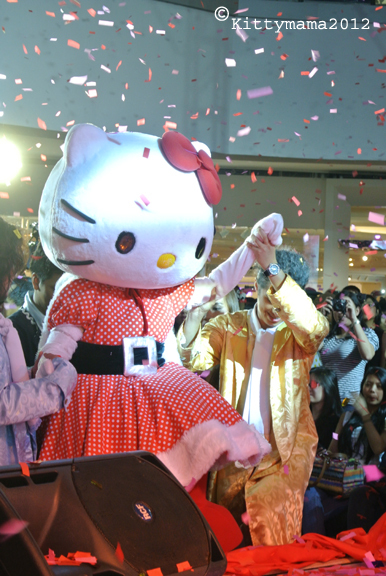 There were girls dressed in Hello Kitty finery and styled with ribbon bows made of hair on their head. They pranced and galloped and sashayed on stage like seasoned models (okay, okay, there were one or two little girls who were clueless when it came to directions but, hey, they were cute!). 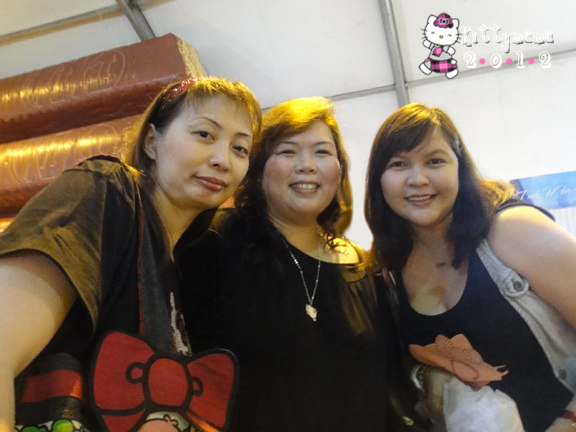 There were young ladies who showed off adult fashions- from playtime to night time dates- complete with charming accessories like bags and blings, even a neck pillow and a scarf. 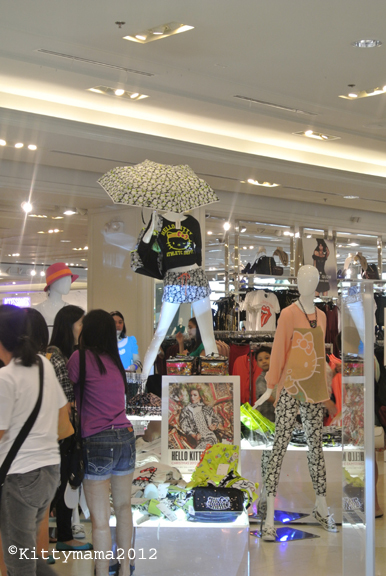 All of these fashionable finds are currently available at SM Department Store branches for kids’ fashion and Forever21 for ladies’ wear. 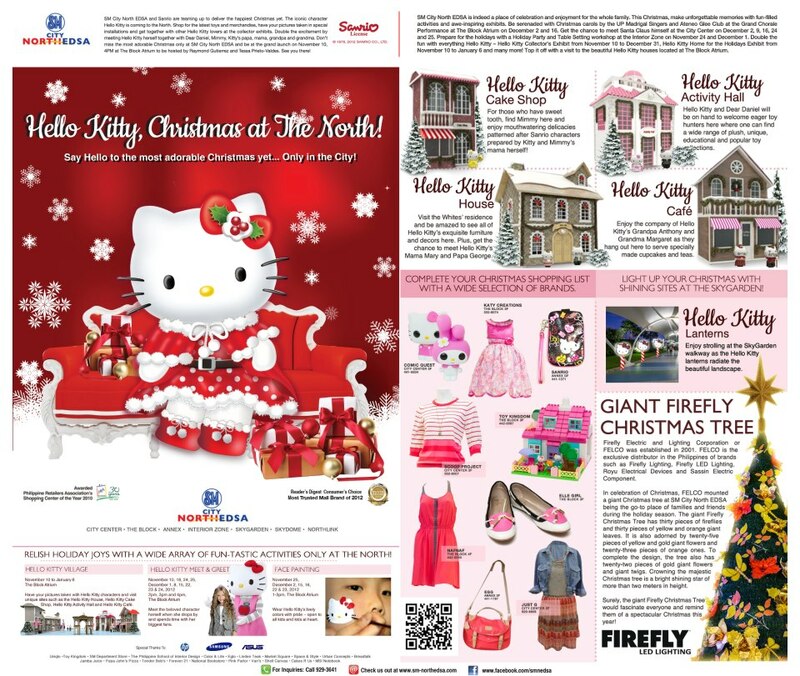 Then, there was a brief Q and A portion with Hello Kitty fans and collectors, including well-known designer Francis Libiran, actress Maxene Magalona, and FM DJ Nicole Hyala. 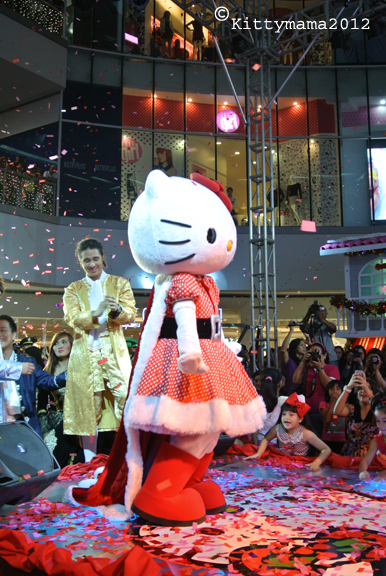 A-list designer Mr. Francis Libiran designer (middle) designed Hello-Kitty inspired outfits for America’s Next Top Model 18th cycle (April 25, 2012 episode). 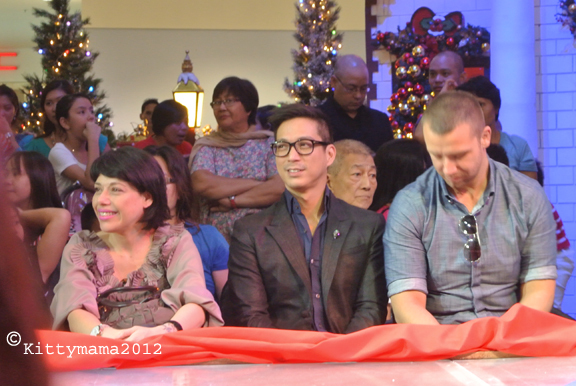 Seen here beside him to the right is Ms. Pia Arroyo-Magalona. 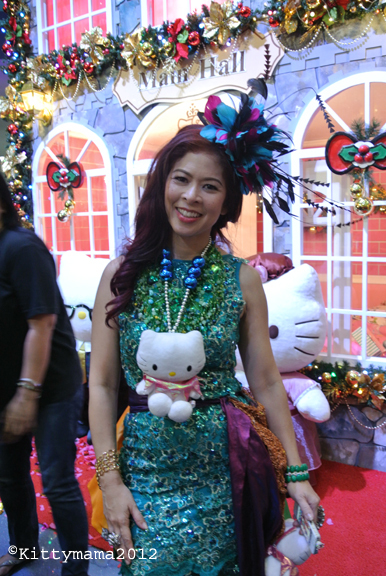 GMA-7 actress Maxene Magalona is in Hello Kitty from top to toe! 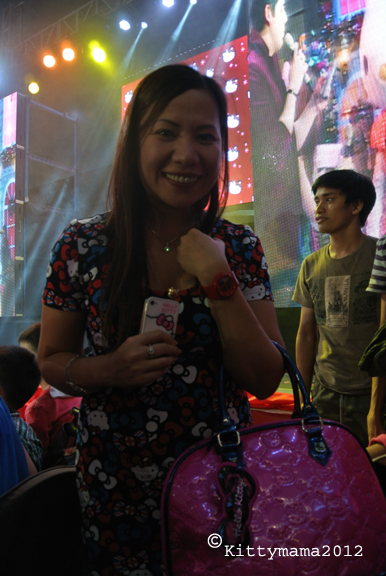 And DJ Nicole Hyala shows off a Loungefly patent embossed tote bag, a HK watch, a HK-covered white iPhone 4s and HK shirt dress with matching shoes! While I loved being right near stage, my vantage point for photos was hopelessly limited. Moving around was not an option as there were so many people you’d be stepping on people’s toes when you do. 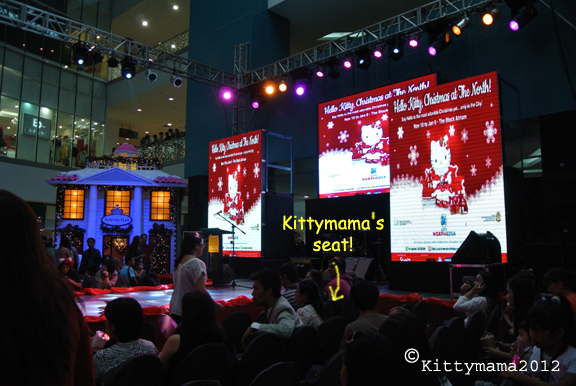 Right in front of me was the row of seats occupied by Mr. Hans Sy, Executive Vice President of ShoeMart Inc.and President of Shopping Center Management Corporation, and his guests and officers. 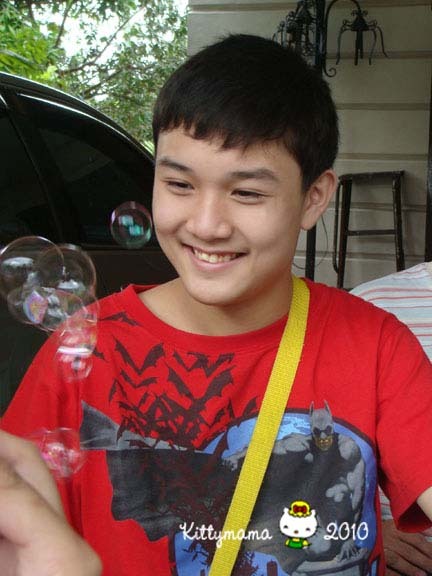 Mr. Sy donated gifts to the 2012 International Children’s Peace Prize Awardee Kesz Valdez and his supported advocacy. 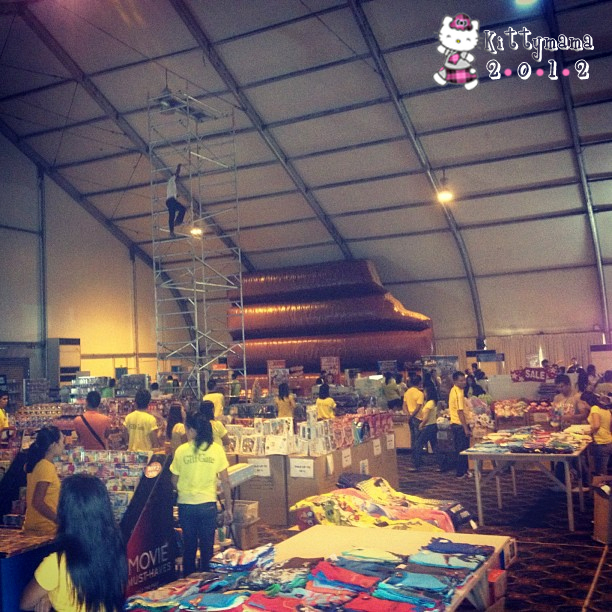 Sorry, you can’t even see Kesz here but you can see Mr. Sy and his giveaway presents! Right after that, it was time for the REAL star of the show to come out! 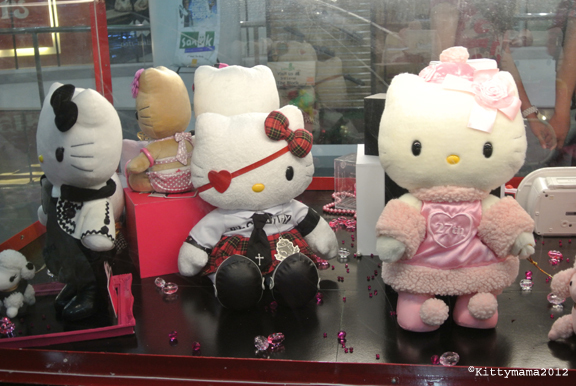 There was much funfare as heralds started screaming Hello Kitty’s name. 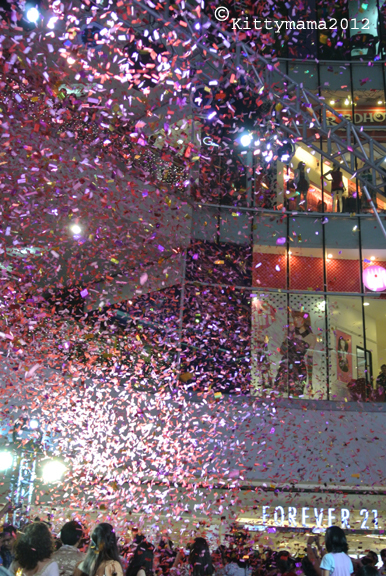 Confetti shot out from giant confetti guns and filled the air with fluttering paper! 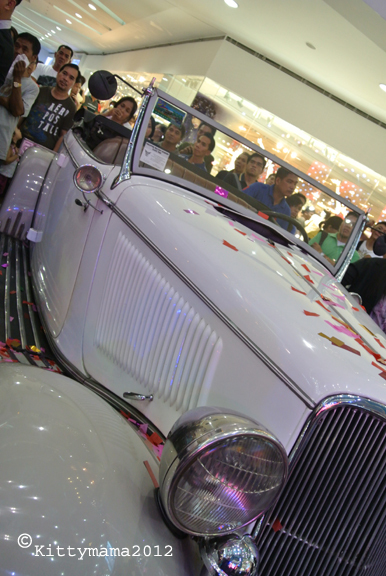 A white vintage car drove (the better word would be “crawl” as it inched its way ever so slowly, surrounded by a throng of people into the center Atrium). 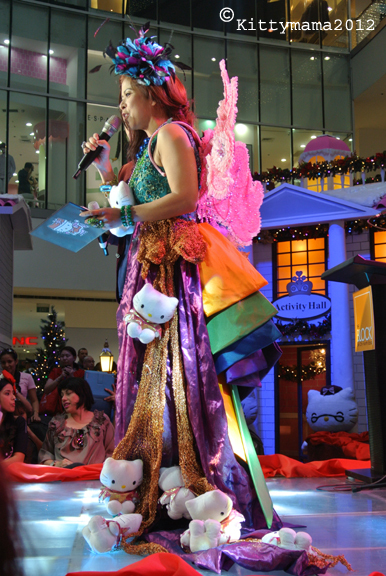 Inside, a fluffy giant feline waved happily to the crowd that greeted her with such a uproar of delight. 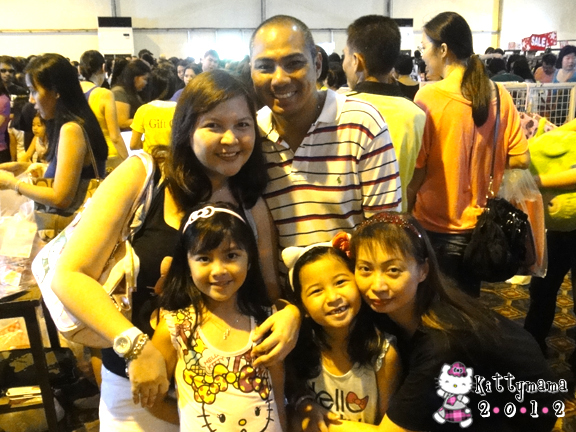 She is surrounded by Kitty-addled crowds- men, women, and children! The vintage car that carried the star of the show! 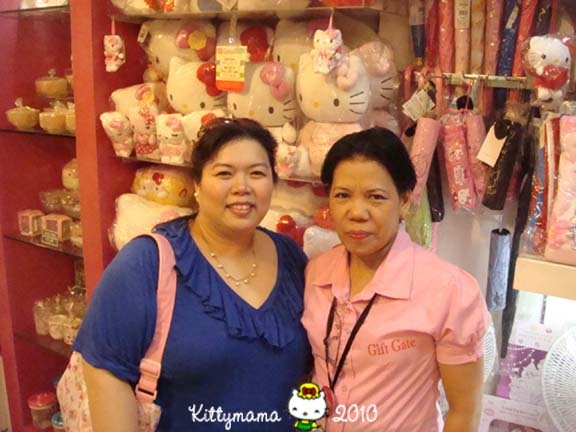 I managed to get one photo taken with Ms. Kitty through the kindness of Ms. Cleo De Ocampo of Gift Gate Philippines. 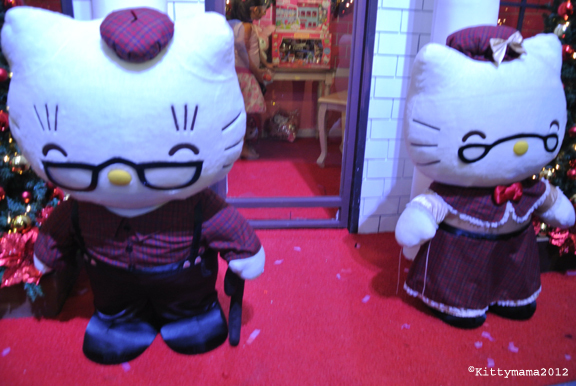 Long after the time given for Hello Kitty to welcome guests (can you imagine how hard it must have been for the person inside the mascot costume? ), people were still pulling her for photo ops. 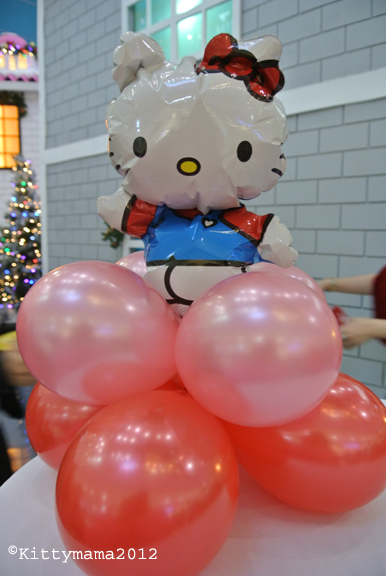 It was a Hello Kitty-rific day! 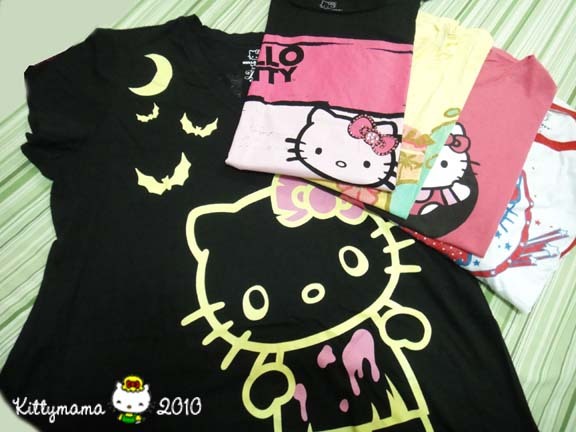 Lest my Kitty friends think I have turned into a complete critter head (oh, well, I probably am already), allow me to prove to you that I have not forgotten my roots. 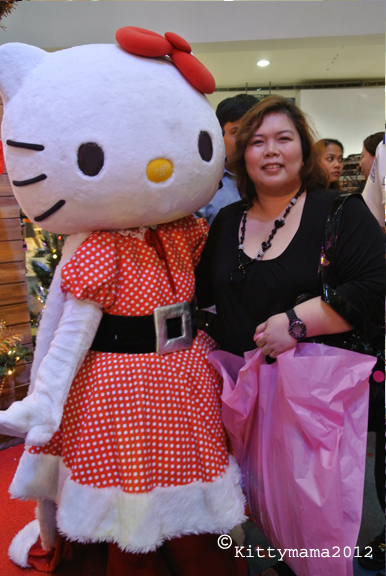 Kittymama will always love Hello Kitty. 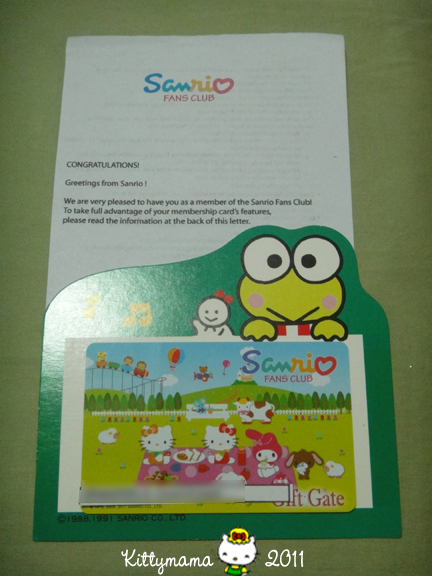 She has her 2011-2012 Sanrio Fans Club Card to proudly prove that. Still, there’s something to be said about changing tastes. 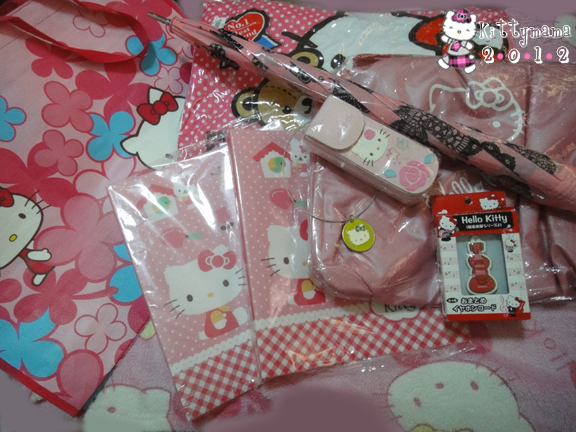 No longer an insatiable Kittyholic, I’ve learned to become more discerning in my Kitty choices. Of course, when something as delicious as this comes along, it’s always hard to say no. 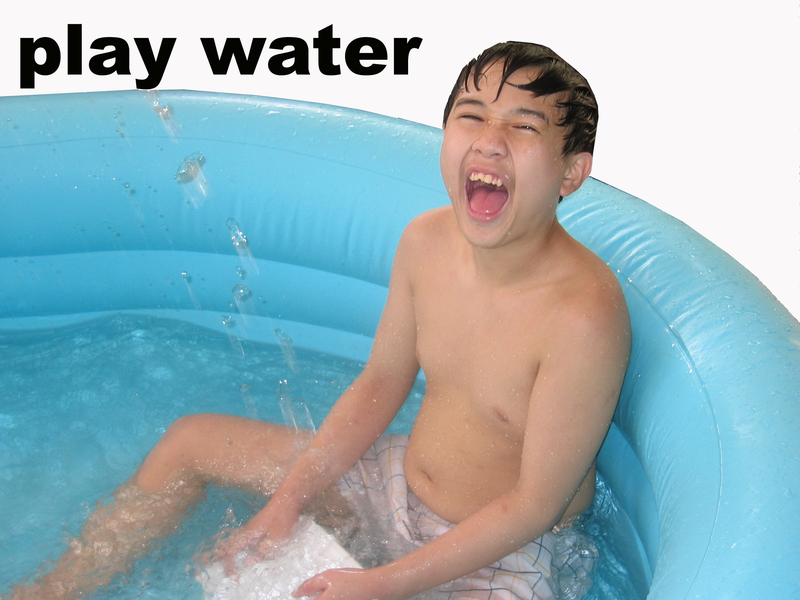 I’m very picky when it comes to scents, especially since my body chemistry reacts differently to many fragrances. What smells heavenly to another is disturbingly migraine-inducing to me. On a regular day, I use Philosophy’s simple, light fragrances- Baby Grace and Amazing Grace. On special occasions, I use either Clinique Happy or Estee Lauder’s Pleasures Exotic. 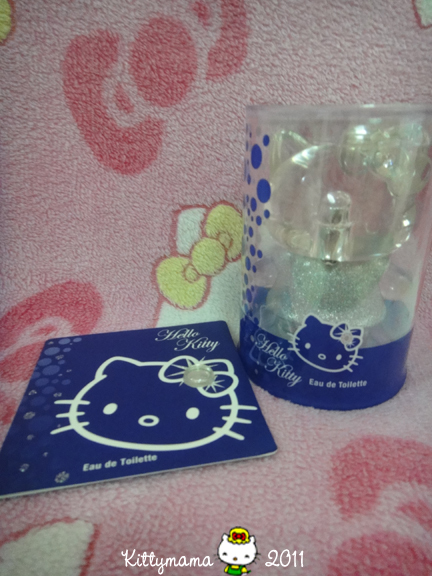 But after a trial of Hello Kitty Diamond, I actually liked it enough to go back and buy a bottle. 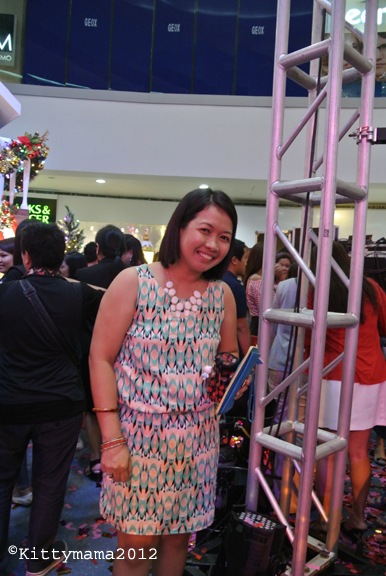 The spray comes in two sizes, a small, purse-friendly 5 ml bottle (PhP600+) and a larger 50 ml bottle (PhP2398). 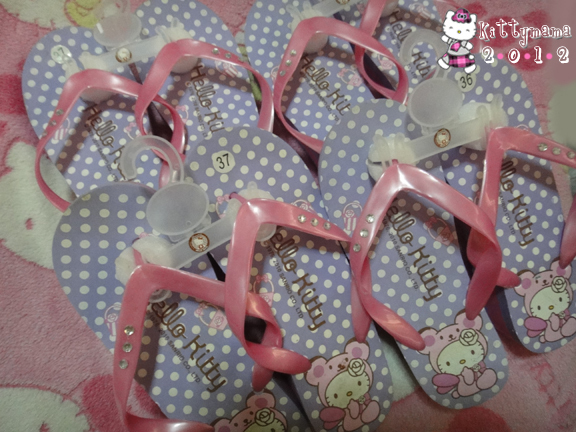 You get more savings with the bigger bottle but then again, you don’t own bragging rights to whipping a Hello Kitty cologne out of your bag with the big bottle (too bulky). 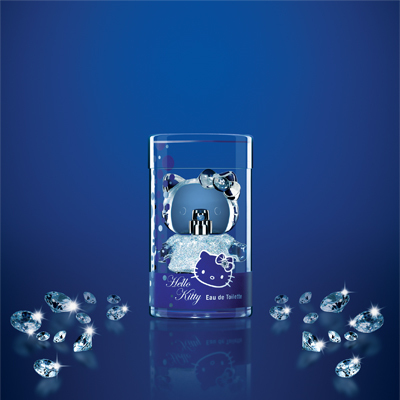 The top notes are freesia, bergamot, grapefruit and small daisies. Middle notes are jasmine, lily of the valley, rose and violet, layered over the tones of musk, amber, sandalwood and vanilla base. 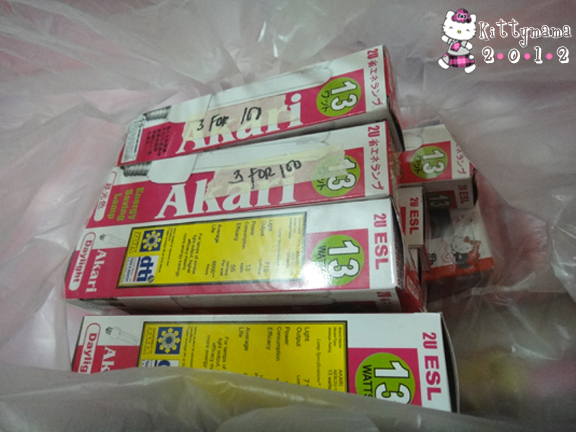 It’s a refreshing scent, light and not cloying, sweet but not overwhelming. 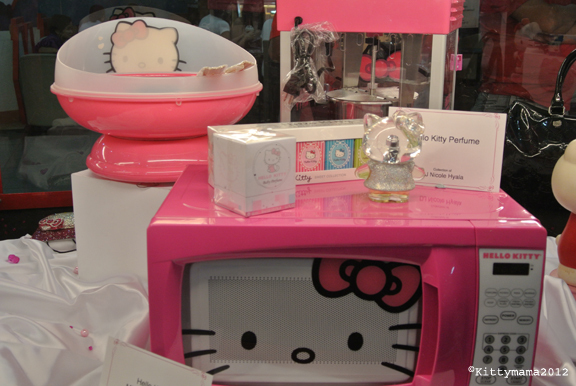 If you bump into me anytime soon and I smell good, thank Hello Kitty for me, will you?